Journal of Nanjing Agricultural University, 2019, 42(2): 373-381. 姜鑫, 尹文庆, 浦浩, 等. 基于结构光三维视觉的螺旋输送器谷粒体积的测量方法[J]. 南京农业大学学报, 2019, 42(2): 373-381. Abstract: [Objectives] To solve the problem of measuring the quantity of material in real-time during the conveying process in the screw conveyer, it is vital to select a proper real-time measuring method to calculate the grain volume in the screw conveyor. [Methods] By using a normal screw conveyer, the structural light images of 3D vision system can be constituted by applying laser triangulation. 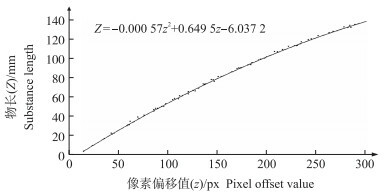 And the relationship between material length and pixel offset can be established by calibrating test parameter. Based on these preprocessed structured light images, the grain flow contour can be obtained by using threshold determinant algorithm. 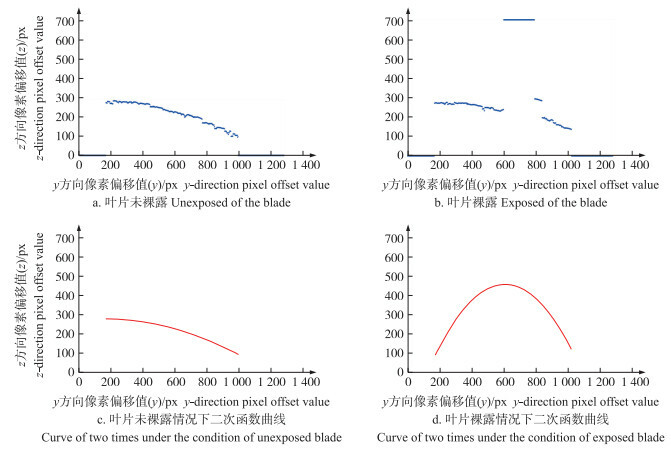 In case of bare helical blade obscured the grain flow contour, which can be detected by using image processing method and geometric analysis method, the obscured part of the grain flow contour can be fitted by applying least square method. Finally, the grain flow section calculation model and volume calculation model can be establishment by applying trapezoidal calculus summation to the grain flow contour. [Results] When the filling rate of the screw conveyor was above 45% and the rotational speed was between 26.3-46.0 r·min-1, and transportation was of three different grain volume, the average error of the measurement of grain flow volume was less than 5%, and the CV was less than 0.024, and the RMSE was less than 0.969. When the volume of measurement was 11.6 L and the speed of screw conveyor was 32.8 r·min-1, the minimum error of image processing method was 1.73% and the geometric analysis method was 1.97%. 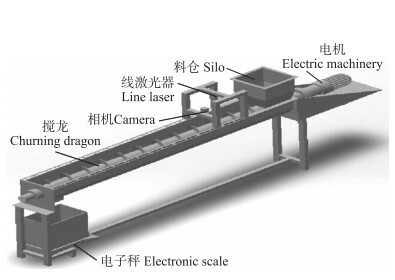 [Conclusions] Based on the structured light of three-dimensional vision measuring system, the calculation model of grain flow volume established by applying trapezoidal calculus summation method, can measure grain volume conveyed by screw conveyor in real-time. Song H.Optimization design and simulation of quantitative screw conveyor[D].Qingdao: Qingdao University of Science & Technology, 2016: 1-8(in Chinese with English abstract). 李占荣, 王金良, 李存华. 定量添加碎烟片的螺旋输送装置设计及应用[J]. 机械工程师, 2015(10): 216-218. 翟军强. 螺旋输送器在原盐计量包装秤中的应用[J]. 工业计量, 2007, 17(S1): 91-94. Zhai J Q. Application of screw conveyor in raw salt metering packaging scale[J]. Industrial Measurement, 2007, 17(S1): 91-94 (in Chinese). 张小超, 胡小安, 张爱国, 等. 基于称重法的联合收获机测产方法[J]. 农业工程学报, 2010, 26(3): 125-129. Zhang X C, Hu X A, Zhang A G, et al. Method of measuring grain-flow of combine harvester based on weighing[J]. Transactions of the Chinese Society of Agricultural Engineering, 2010, 26(3): 125-129 (in Chinese with English abstract). 罗胜彬, 宋春华, 韦兴平, 等. 非接触测量技术发展研究综述[J]. 机床与液压, 2013, 41(23): 150-153. National Development and Reform Commission.Screw conveyor JB/T 7679-2008[S].Beijing: Machinery Industry Press, 2008(in Chinese). 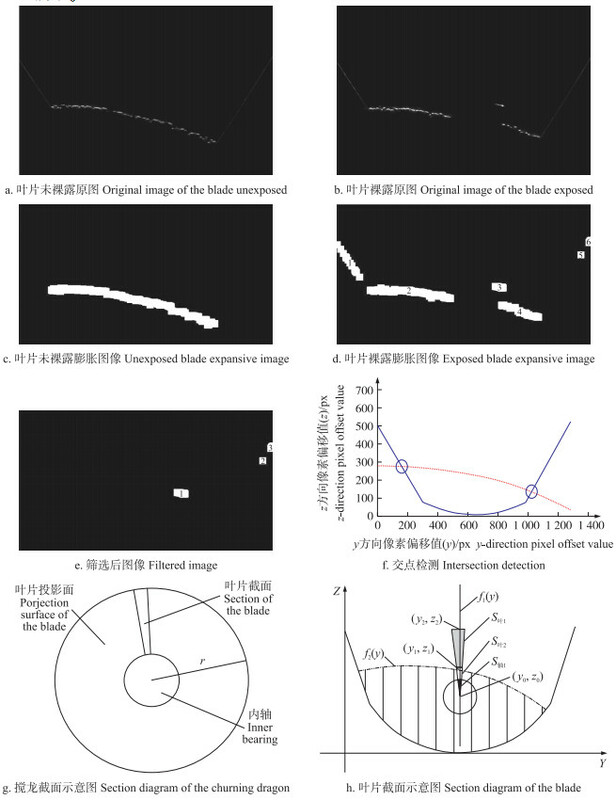 Li H C.Research of methods for material volume measurement based on laser triangulation[D].Hefei: Hefei University of Technology, 2015: 31-36(in Chinese with English abstract). Huang X, Tian Q, Mao J, et al. The theory and application of an adaptive moving least squares for non-uniform samples[J]. WSEAS Transactions on Computers, 2010, 9(7): 686-695. 赵延超, 武美萍, 任仲贺, 等. 线结构光视觉技术与最小二乘法中孔直线度检测[J]. 机械设计与研究, 2018, 34(1): 141-144. Zhao Y C, Wu M P, Ren Z H, et al. Research on line structured light vision technology and the least squares method for detection of straightness of injector body[J]. Machine Design & Research, 2018, 34(1): 141-144 (in Chinese with English abstract). 南方, 李大华, 高强, 等. 改进Steger算法的自适应光条纹中心提取[J]. 激光杂志, 2018, 39(1): 85-88. Nan F, Li D H, Gao Q, et al. Implementation of adaptive light stripe center extraction of improved Steger algorithm[J]. Laser Journal, 2018, 39(1): 85-88 (in Chinese with English abstract). Wulantuya.Study on the mechanism of screw conveying theory for rubbing and breaking corn straw[D].Hohhot: Inner Mongolia Agricultural University, 2016: 22-25(in Chinese with English abstract). 宋冠霆, 宋伟刚. 带式输送机物料截面积计算方法的评述与确定[J]. 煤炭学报, 2017, 42(S2): 556-561. Song G T, Song W G. Determination and review on calculation method of cross-sectional area of carrying material at belt conveyor[J]. Journal of China Coal Society, 2017, 42(S2): 556-561 (in Chinese). 曾飞, 吴青, 初秀民, 等. 带式输送机物料瞬时流量激光测量方法[J]. 湖南大学学报(自然科学版), 2015, 42(2): 40-47. Zeng F, Wu Q, Chu X M, et al. Measurement of material instantaneous flow on belt conveyors based on laser scanning[J]. Journal of Hunan University(Natural Science Edition), 2015, 42(2): 40-47 (in Chinese with English abstract).